Multi-sensory classes for babies, parents and young children. So if you haven't tried Hartbeeps yet why not come for a trail class? Join us and jump head first down the rabbit hole into our magical, musical world designed especially for you and your little ones. and confidence. 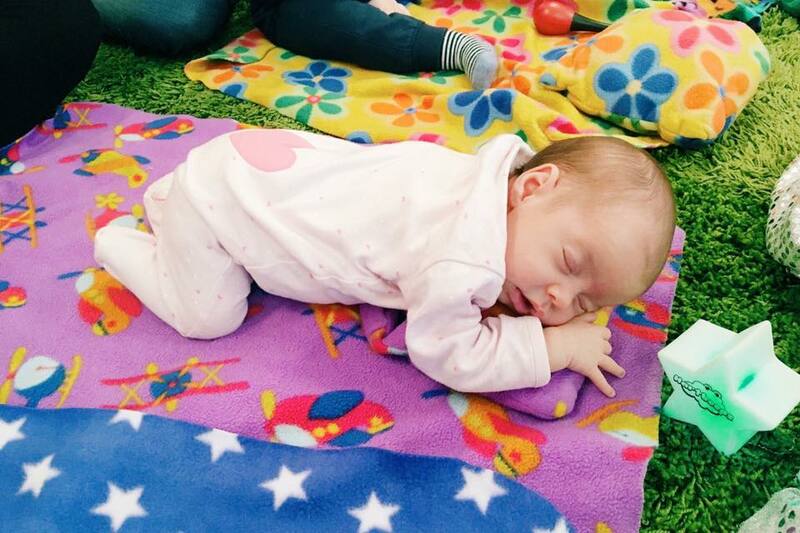 We use elements of baby yoga, baby massage and calming techniques to guide little ones through our magical, imaginary Baby Land and help them to truly experience our soundtrack of remixed nursery rhymes and lullabies. Suitable for babies who can sit until they can confidently walk. Adventures in rhythm, baby babbles and beyond! Our bouncy, interactive baby development class that focuses on early language acquisition. Every class is a fun-filled adventure through Baby Land TM with wacky characters, lighting effects, cool props and parachutes that you won't see anywhere else. The class is set to a funky soundtrack of original baby songs, remixed nursery rhymes and lullabies from our very own record label. From the everyday to the truly spectacular, everything we do in Baby Beeps is a magical adventure. Our fun-filled, highly interactive toddler class for busy toddlers, pre-schoolers and their little siblings! We put the children at the heart of our story as we explore the Happy House TM and beyond! Put the 'special' into your little one's big day! 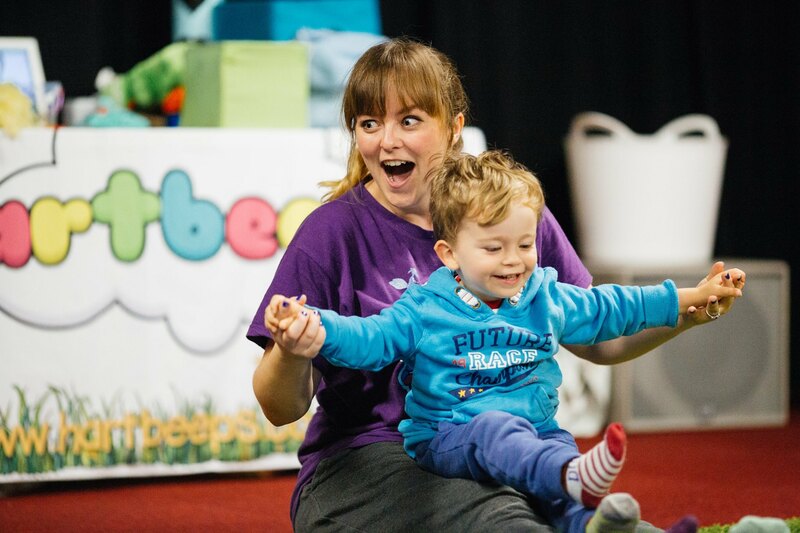 As award winning children's music and creative play specialists, Hartbeeps offer wonderfully unique party entertainment that's fantastic for under 5s, their families and their friends. Our parties are all set to a musical soundtrack of remixed nursery rhymes, lullabies and original baby music. Brought to life with fun props, whacky puppets, sparkly parachutes and more. Our fabulous party packages and activities are customised to suit 1st, 2nd, 3rd, 4th and 5th birthdays, or any celebratory occasion. With something for everyone of any age to enjoy! We are with you for 90 minutes including set up, welcome, party entertainment, set down and goodbyes. You also have the option of an additional 30 minutes of party games, by arrangement. Plan your perfect party today... email leanne@hartbeeps.com or click here to submit a booking request. An in-house nursery programme suitable for toddler/pre-school and baby rooms. An exciting and original programme offering your nursery or pre-school a creative bolt-on to your exisiting curriculum. Weekly visits can be arranged to coincide with the academic year, or inclusive of term time holidays by arrangement, offering 35 minute sessions. 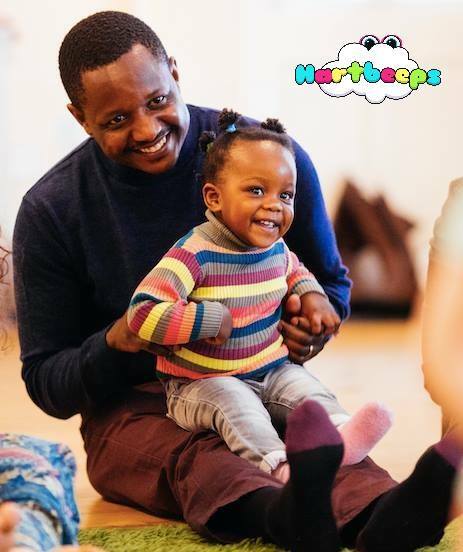 Hartbeeps Adventures TM takes children and grown-ups on a different adventure every week. · A wonderland that children can create themselves and play amongst in their own way…..
"The children and staff have thoroughly enjoyed the sessions. We have seen drastic improvements in children's ability to join in with the singing and actions. The children have talked about what they have been doing and have enjoyed listening to the CD in class. The Hartbeeps team have an excellent knowledge of EYFS and young children. Each session is exciting and resourced well". 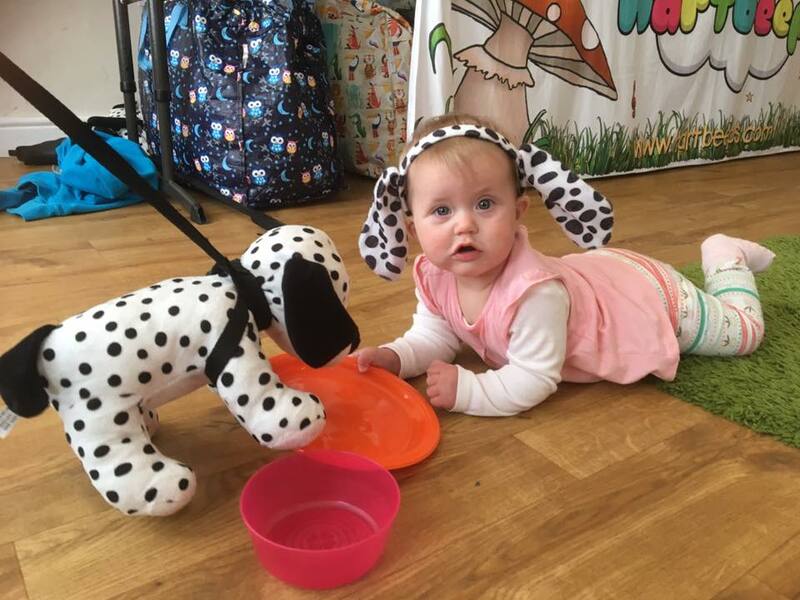 "Hartbeeps is beneficial to our children with special needs because they focus on sensory development and they seem to really engage with the session. The children all seem to love Hartbeeps and it helps to develop their listening and attention skills and also their physical development. Overall the children seem to love it". 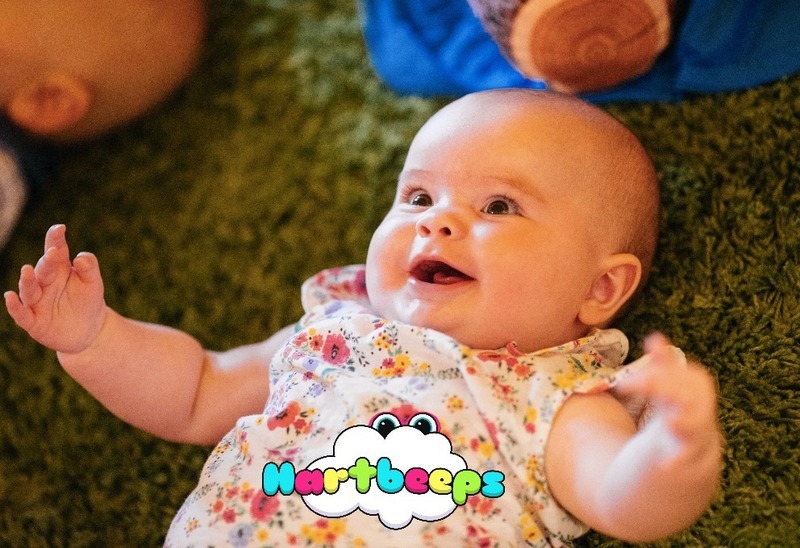 "Hartbeeps is fun, colourful and the children can take part from beginning to end. Has the wow, joy and wonder that children respond to. Well planned and thought out. Music is familiar and easy to learn. Lots of things for the children to look at, feel, hear - all sensory experiences. Very good for special needs. Have observed really interesting responses from children who can be shy and quiet. Fits in with planning and links to EYFS. Children always come out smiling and we good good feedback from families." One of the wonderful things about Hartbeeps classes is that it puts you in touch with other parents at the same stage as you. At our classes we aim to build friendships and support networks that can last a lifetime. Your Hartbeeps family are here for you when times are tough or whenever you feel down. If you know you are or you think you might be suffering with post natal depression then there a few places you can reach out to for help - you are not alone! Hartbeeps and other chairties are here for you. The Association for Post Natal Illness has mentors who've suffered and come out the other side who can help support you. PANDAS Foundation UK -call from 9am to 8pm on: 0843 28 98 401 or email them at anytime: info@pandasfoundation.org.ukand you can join their online support group. Family Lives offers 24hr help available on 0808 800 2222 and they also have an online chat facility - for ANY aspect of family life, not just pregnancy and child related. There's also support and advice available online on Twitter, Wednesday between 8-9pm via the hashtag #PNDHour and peer to peer support 24/7 with #PNDChat. Find out more about PND & Me here.